With a variety of different wood & stone designs, you're bound to find something from the Looselay range that will fit your area. Its friction grip backing makes this product easy to fit. It creates a strong bond with the subfloor using a calculated combination of weight and friction. Its also easy to repair, if a tile or plank gets damaged you can quickly replace that one section without having to take the whole floor up! PU Coating - A surface protection layer to provide a hygienic and durable finish. Clear PVC Embossed Wear Layer - Protects the floors design from wear & tear. High Definition Photographic Layer - Gives it's highly realistic and natural appearance. Stability Layer - A fibreglass enhanced layer which helps the product lay flay and level, increasing dimensional stability and mechanical strength. Friction Grip Backing - a backing that holds the product in place. 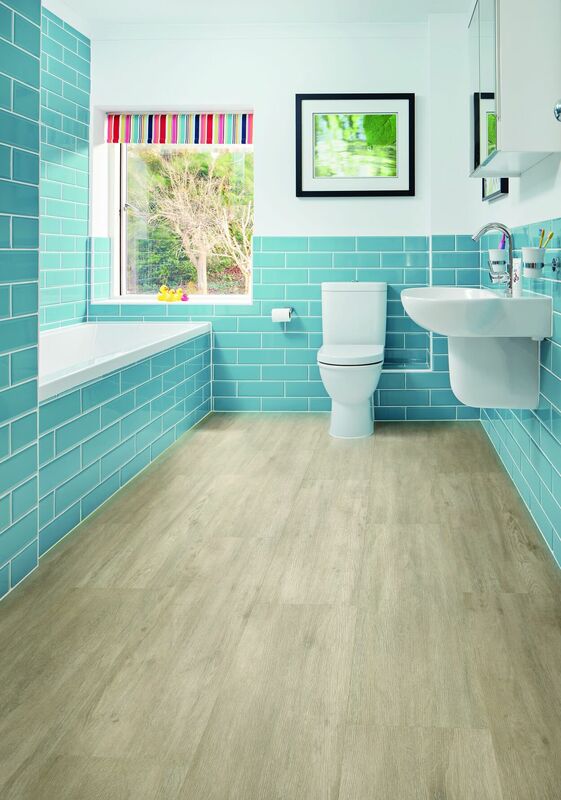 Looselay reduces impact noise transfer by 13dB and can be laid in rooms with 95% relative humidity, so perfect for a bathroom or kitchen area. For more information, the please do get in touch with one of our many branches and they will be happy to assist you with any questions you may have.